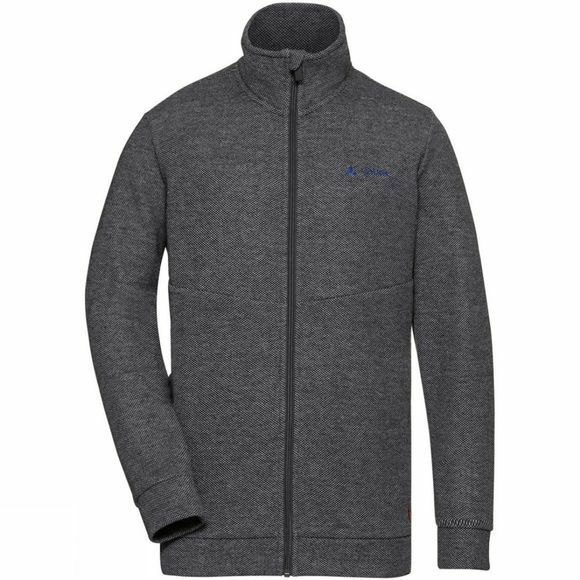 The Mens Soesto Jacket from Vaude, allows for added warmth as a mid or outer layer. The Soesto jacket made from thin, lightweight thermal Jacquard with a touch of wool. 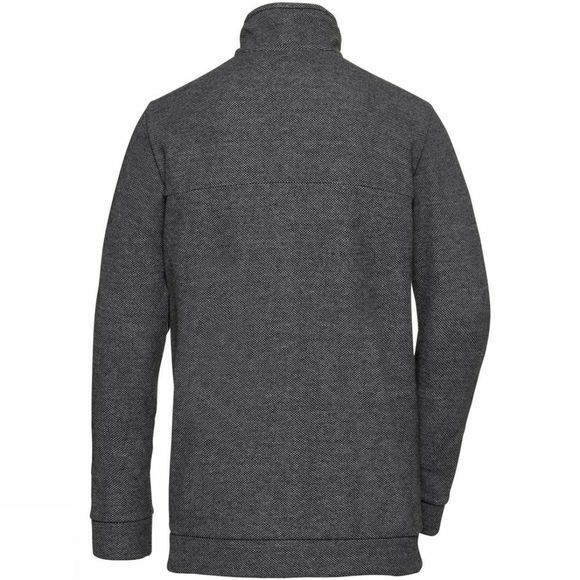 This swank and sporty men's jacket with stand up collar has a soft hand with easy-care material, making it a hot contender for becoming your favorite in the urban basics section of your closet. Made in Europe. The Vaude Green Shape label stands for environmentally friendly, functional products made from sustainable materials.